This paper provides a consolidated review of near future trends in research topics on project management from different authoritative sources. 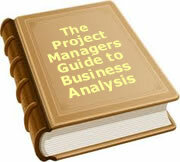 The research is based on a literature review of several articles in Project Management Journals from 2008 and 2009. This paper also provides some recommendations and insights based on the review. Starting from the 2008/2009 time frame, the PMI/PM Journal has been encouraging submission of white papers to extend the boundaries of project management knowledge area and its relevant research. Different authorities have provided different views on what they see in the near future for project management. There are many common areas, and yet they perceive similar things in different framework and perspectives. Also each of the submissions has its own specialities and forecasts a different dimension for the extension of current project management. Different authorities have extended the current PM knowledge regime into different dimensions. "Productive research can be conducted on the interactions between project management and related management disciplines and can explore the relevance and impact of progress in other management disciplines on project management, including issues related to professional and social responsibility, ethics, and environmental and social impact of projects. The second dimesion of stretching is to broaden the PM scope from traditional indutries to newer industries. "Despite the broadening use of systematic approaches to project management, the majority of related literature is focused on a handful of industries-construction, engineering, government, information technology, and utilities-that have, until recently, been the traditional areas for project management." (1) What is the availability of quality project management literature in non-traditional industries? (2) What are the themes from the project management literature in non-traditional industries? (3) What topics or themes from the project management literature may be generalizable to nontraditional industries? (4) What do systematically identified articles tell us about project management in the nontraditional areas identified? The third dimension is to intertwine project management with real/virtual social network etc. 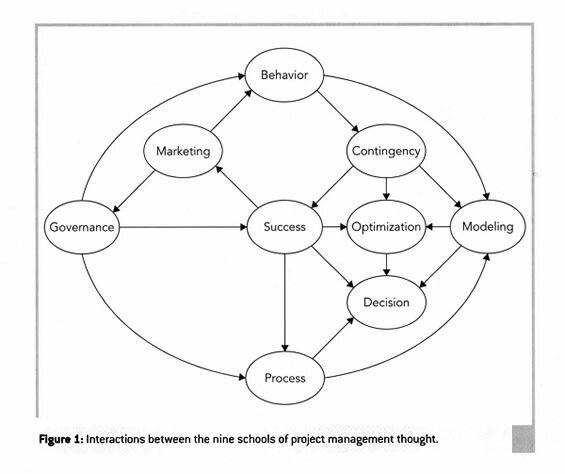 This is like "sociology of project management." ".the effect of social network position, structure, and ties on the performance of knowledge-intensive workers in dispersed occupational communities. Using structural holes and strength-of-tie theory, we develop a theoretical framework and a valid and reliable survey instrument." Also, they apply network and structural holes measures for understanding its association with performance. Empirical results suggest that degree centrality in a knowledge workers' professional network positively influences performance use, whereas a highly constrained professional network is detrimental to performance. The findings show that social network structure and position are important factors to consider for individual performance." The research provides insight on the following topics. How can individual performance be understood through the emergent patterns of social processes that constitute performance? How can it be evaluated? What is the role of social influence and social networks (that create such influence) in understanding individual performance? Why understanding social network structure and position are important for understanding individual performance? How does one account for social factors, apart from personal and demographic factors, that are important for enhancing individual performance in a project environment? The fourth dimension is to identify some traditional general management/non management disciplines and see how they fit into the project management area. This is known as the "allied discipline framework ". What future trends in the allied disciplines might significantly impact project management? How would the allied disciplines' trends change project management? How would project managers have to change their mind-set because of the allied disciplines' trends impact? How do we behave proactively to meet the challenges of trends in the allied disciplines? The fifth dimension is to tie Project management into Globalization. Topics usually focus on areas communication, risk, standardization and program management . This literature review consolidates opinions from different authoritative about the near future of project management research from 2008/2009. Abstractize/organize current pieces in to a high level map. Then we can identify holes that haven't been figured or do some remapping of the whole system. Pull allied disciplines from traditional management, sociology, history/culture/politics, science and technology. Expend the scope of project management knowledge to new industries or higher organization levels. Another effective (minimum cost to make maximum profit) approach to identify new research topics can be a problem solving approach. That is to identify problems/ current challenges, investigate the root cause of the problem, and find the most appropriate solution to solve them. Tom Fiske (2009) Process engineering tools drive efficiency improvements Hydrocarbon Processing. Houston: Jun 2009. To date, 20 people have rated this article. The average rating is 3.50 - Add your rating. Just select a rating and click the button. No other information required.